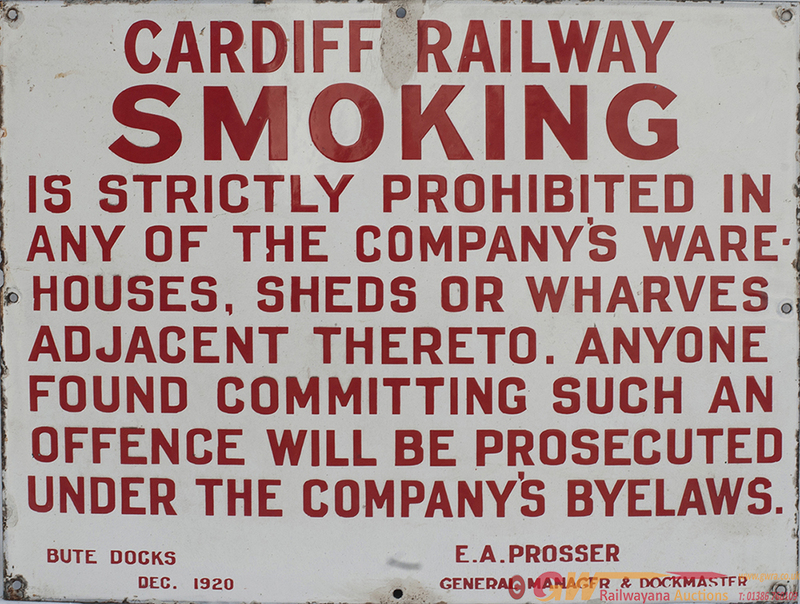 Cardiff Railway enamel sign re SMOKING IS PROHIBITED, signed E.A. Prosser General Manager and Dockmaster Bute Docks Dec 1920. In good condition with a small repair around the top hole. Measures 22in x 17in.